Ok, so it’s become clear to you that you have a problem at home. You have too much junk and clutter filling up inside and it’s causing you stress beyond belief. Well, for every problem, there is a solution. The solution to your junk problem is simple. The Junk Bucket. 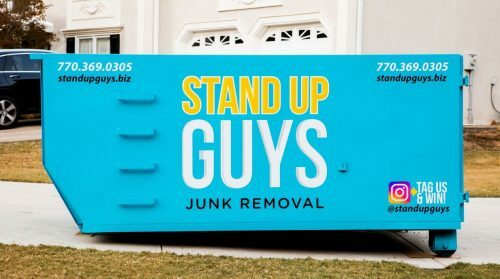 First, just pick up the phone and call The Stand Up Guys to rent your Junk Bucket. Or you can even go online and do it all from your computer, which is desirable for some. Either way works though. When you are scheduling your Junk Bucket, just pick a day, or set of days that works best for your schedule. 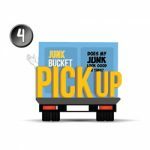 Where you can find the time to work on getting out the clutter.The Junk Bucket Dumpster is the perfect solution to your junk issues. 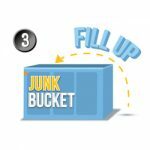 The Junk Bucket can fit all the junk you need and it can help you in many other ways, mainly melting away all that unnecessary stress. 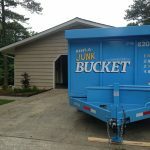 All you have to do is follow the simple steps to renting a Junk Bucket Dumpster and clearing out all the junk and clutter from your home. Second, on the day that you scheduled, be prepared. On that day and time The Stand Up Guys will deliver your Junk Bucket Dumpster to your home. Just tell us where you want it and we will drop it there. 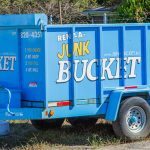 That’s just one of the many benefits to renting a Junk Bucket opposed to other traditional dumpsters, we can fit there ANYWHERE. Third, now that the Junk Bucket is dropped and empty, all you have to do is fill it. Go through all the junk that you want gone and just chuck it into the Bucket. It’s that simple! Make sure to take it all in though and enjoy it. Enjoy how good it feels to physically pick up the junk that is cluttering up your home and toss it into the Bucket. The release of junk brings release of stress and a more fulfilling life. Fourth, once you have filled the Junk Bucket and got rid of all the junk and debris from your home, just pick up the phone and call The Stand Up Guys back. 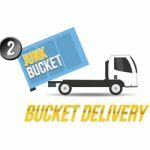 Let us know that you are done and we’ll have someone over right away to haul away the Bucket, and haul away your junk. 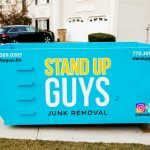 The Stand Up Guys offer Junk Buckets Dumpsters all over Tampa Bay. So if you live in the Tampa Area, and you have junk that you want out of your home once and for all. 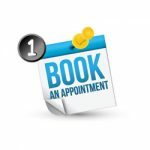 Pick up the phone and call us today! 813-512-0480.